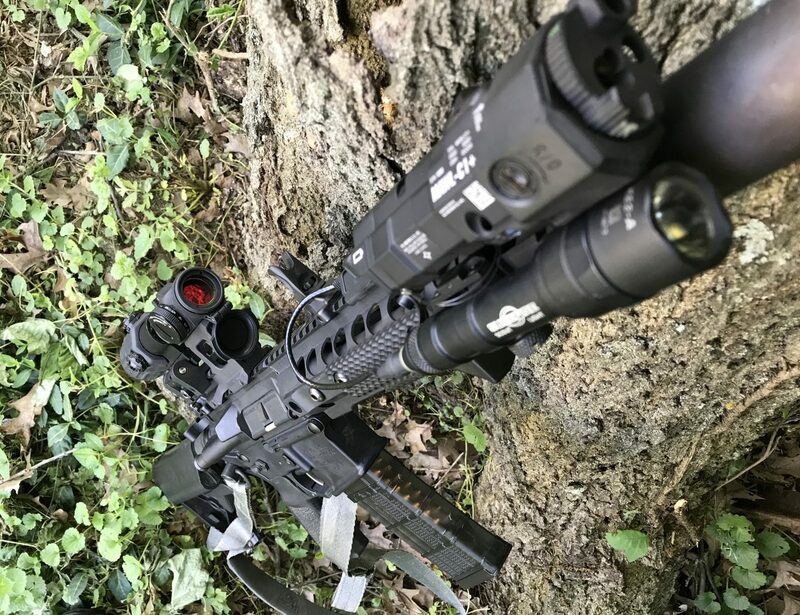 By the time this article posts, Miles and I will have just finished attending Sentinel Concepts’ Practical Urban Carbine (PUC) with Steve Fisher in Alliance, Ohio. We chose this class due to a realization that many students had issues with practical accuracy with their carbines when forced to shoot past the standard 50 to 100-yard ranges often covered in carbine courses. In this course, we will be focused on shooting between 50 and 300 yards. This course is not a precision course but is designed to have students learn their zeros and holdovers to engage at practical distances out to 300 yards. I will be bringing two rifles for this course. The first will be a Scar 16 with a pinned and welded barrel totaling 16” in length with a Surefire Warden. 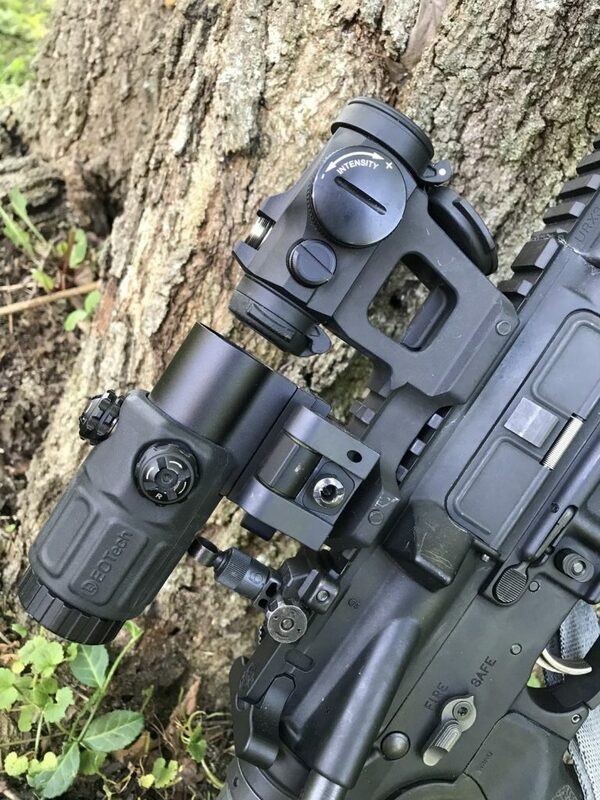 The glass I will be using will be a Trijicon VCOG 1-6x optic. Other changes to the gun are the addition of a Geissele Super Scar trigger, FN rail extension, KDG stock, and Magpul safety. Having a low variable power optic for this course will give me greater versatility at close and far distances. The packing list suggests also bringing a backup carbine if available. 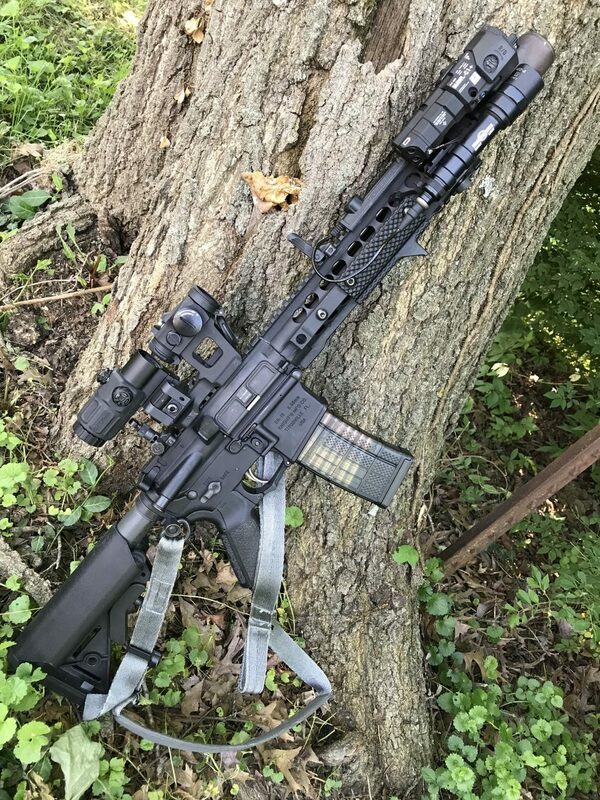 I have recently been outfitting a Knight’s SR15 with a CQB 11.5” upper. 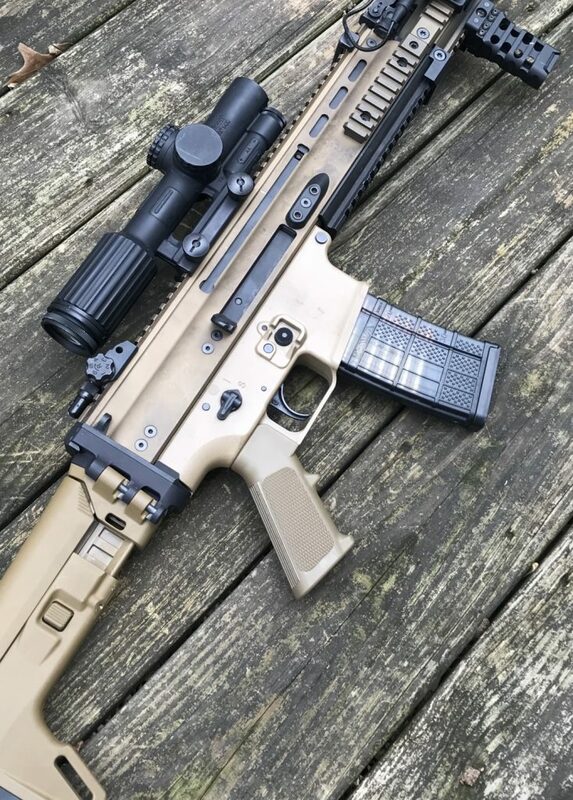 I purchased a Knight’s Highrise Mount for the course to maintain the height of my Aimpoint T2 while also being able to utilize a 3x G33 magnifier. On the front, I have a Surefire M600 Scout with an SR07 tape switch. In the near future, I will be updating to a Scout DF when I can find one for sale. While this is not a night vision course, I wanted to use the rifle in standard configuration so I also have a MAWL C1 mounted at 1 o’clock. The sling is an important part of rifle setup and this Haley Strategic D3 sling has worked well. Here is the KAC Skyscraper mount with an Aimpoint T2 and G33 magnifier. It only makes sense to train with all the accessories you keep on your rifle, even if that is not the focus of a class. The course required a mixture of standard ball ammunition and match grade ammunition. For my ball ammunition, I bought 62 grain Freedom Munitions. For my match ammunition, I bought the Black Hills 77-grain open tip match. Often I hear people comment on rifle courses or CQB courses as “fantasy band camp”. However, when defending your home why not have the most capable weapon system backed by quality training? Set the odds in your favor and learn how to use the tools properly and take courses from well-vetted instructors so you aren’t just playing “disruptive dress up”. Hallways in schools can often be 100, 200, even 300 yards long. Aisles in Walmart can be well over the standard 7, 10, or 25 yards we train at. Be prepared for even the worst case distances around you. 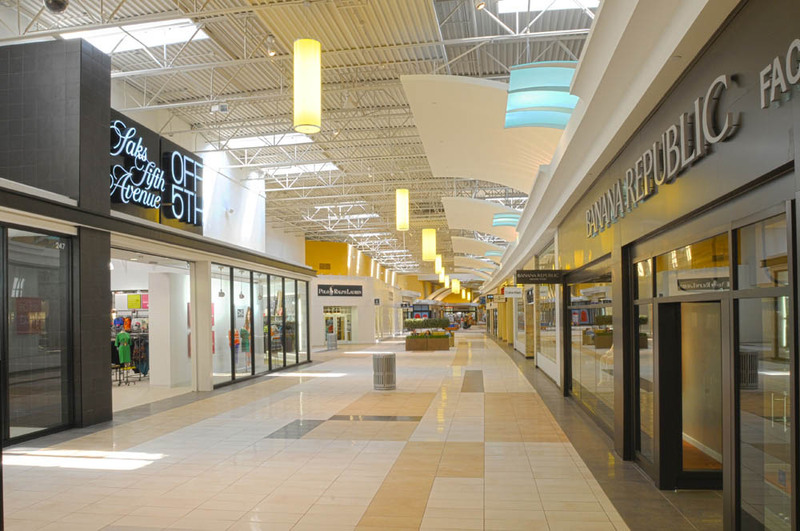 Even in densely populated urban areas, it is very possible to have to take a long distance shot in a long mall hallway. Are you getting out to training classes and improving your rifle skills? If so, are you stretching out past the standard 25-50 or 100-yard distances? Stay tuned for more on Practical Urban Carbine by Sentinel Concepts.